My name is Garon Coriz, a second-year family medicine resident at the University of Utah. I’m often asked about why I chose Family Medicine and I immediately think: why wouldn’t I? Now don’t get me wrong, I didn’t drink any punch or have a spirit descend from the clouds to guide me in this direction. Much like with my decision to venture into the realm of medicine, I took my time and sampled a wide range of specialties. In fact, I had my sights on Surgery for some time. Yet, again and again, my attention returned to Family Medicine. My interest in medicine heralded from the realization that medicine was a culmination of scientific knowledge, political science, interpersonal relationships, and much more. All of the above held my attention well — there is nothing worse than boredom, I feel. In medicine I would be able to use a wide assortment of skills and hone them in the process. Later, I would discover that Family Medicine, out of all the specialties, stayed closest to this ideal mesh of interests and skills. By the end of the third year of medical school, I realized I liked everything I did from Obstetrics and Pediatrics to Internal Medicine and Trauma Surgery. However, the idea of spending an entire career in any one specialty haunted me. I could not be happy only delivering babies, or managing kids’ health, or working in the operating room. I needed variety to keep things fresh. Now what specialty allows a physician to dabble in a multitude of medical specialties? Family Medicine. Being at the beginning of my second year of residency, I must say the decision to pursue Family Medicine was definitely the right one for me. Even the fear discussed in medical school of losing out on big bucks by not specializing now appears silly to me. The income will be plenty and will only get better. The healthcare system is changing, and to reduce healthcare costs, more resources will be placed in areas that save the country the most money, which is primary care. Much like the third year of medical school, as Family Medicine residents, we have to rotate through several areas including labor and delivery, the emergency department, inpatient Pediatrics, the operation room, and even work on our own adult inpatient medical team. Though it can be challenging to adjust to a new system every month, the experiences are extremely rewarding and help to maintain a steep learning curve. Looking to the future, the decision of where I will go next will be a difficult one considering the plethora of possibilities. I can extend my training at the University of Utah through the Sports Medicine and Obstetrics Fellowship Programs. My depth of knowledge will increase, as will my capabilities. As a result, I may improve my competitiveness as an applicant for highly desired jobs. I can also work with Locum Tenens for placement in beautiful areas of the world in need of healthcare professionals for months to years at a time. Antarctica anyone? I have learned about my option to work with the Indian Health Service at a site of my choosing in the U.S. In return, they will contribute a maximum of $20k per year towards my student loans. In this framework, I could possibly return to my home tribe of Santo Domingo Pueblo in New Mexico and practice medicine at the clinic directly across the road from the tribal school. I could even apply to become a faculty member here at the residency. Many former residents choose to stick around and aid in the training of their colleagues. It’s a great place to be and everyone seems to be happy. I must say that the future is not set and the paths may vary, but it all looks bright to me. 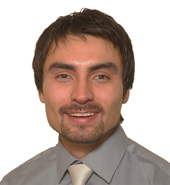 Garon Coriz, MD is a second year Family Medicine resident at the University of Utah.